Former senator Ramon “Bong” Revilla Jr. has been tireless in going around the country ahead of the campaign season to court the support of voters and personalities alike for his senatorial bid. Revilla last week went to Davao City to visit Pastor Apollo Quiboloy, the founder of the Kingdom of Jesus Christ Church. Joining him in the trip was his wife, Bacoor City Mayor Lani Mercado. If pictures were to paint a thousand words, it seems as if Revilla has gotten Quiboloy’s endorsement in the bag. His visit to the pastor’s “Christmas Village” was covered by the church’s broadcasting arm, Sonshine Media Network Inc. 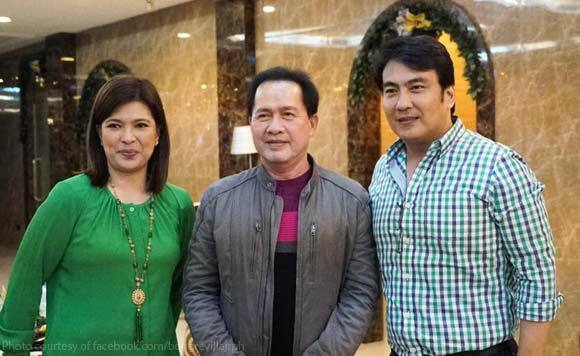 In a Facebook post, Revilla thanked Quiboloy for his prayers. “Marami pong salamat sa inyong mainit na pagtanggap at taimtim na pananalangin para sa amin, Pastor Apollo C. Quiboloy!” he said.